ALLEGRA BOVERMAN/Staff photo. Gloucester Daily Times. 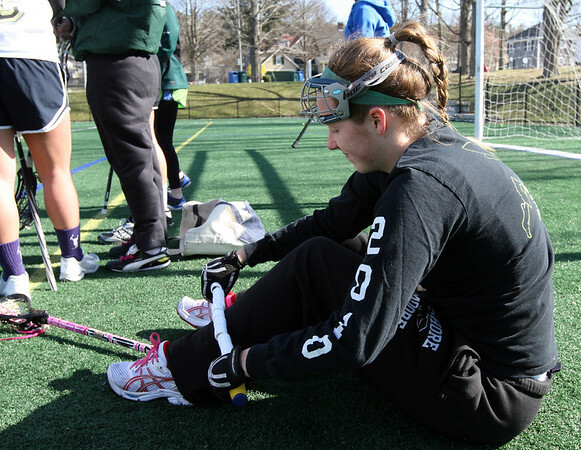 Gloucester: Manchester-Essex Girls Varsity Lacrosse co-captain Melissa Moore rolls out her shin splints pain during practice on Tuesday afternoon at Field Field in Manchester.